The Flip and Fill Animal Fine Motor Game digital download includes 20 different animal game boards to practice fine motor skills and encourage hand strengthening. 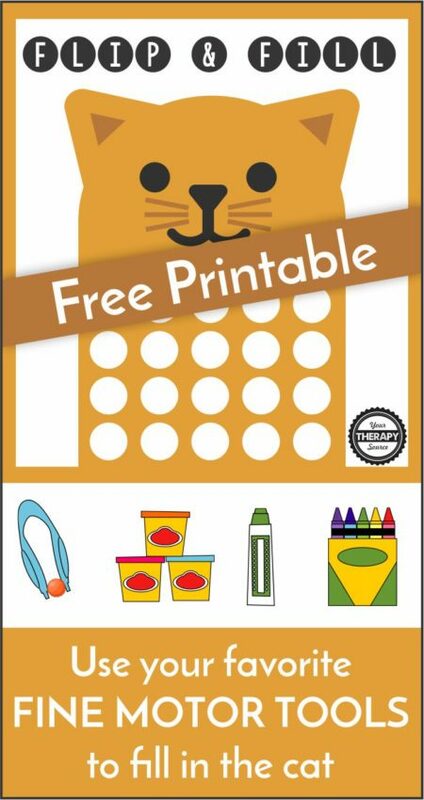 Choose the animal you want to play with and print it out. 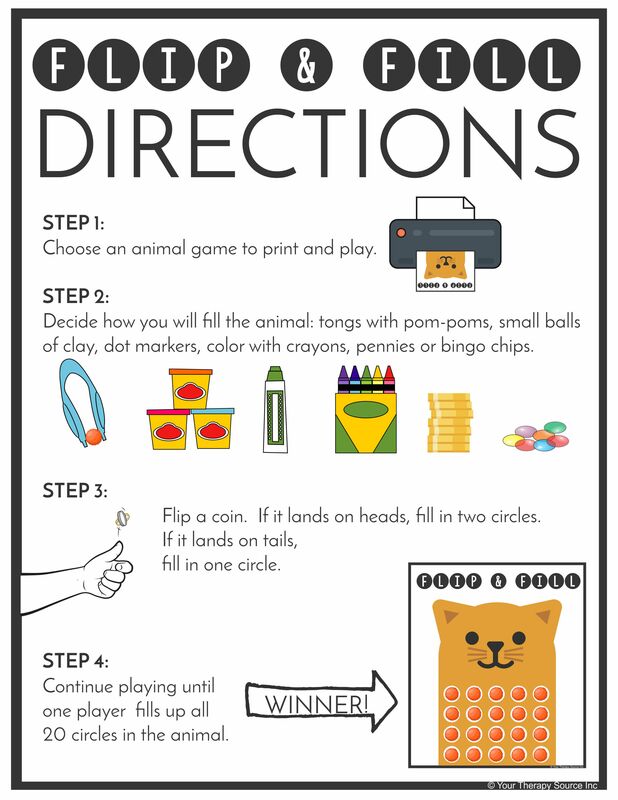 Give each player an animal board and directions if needed. 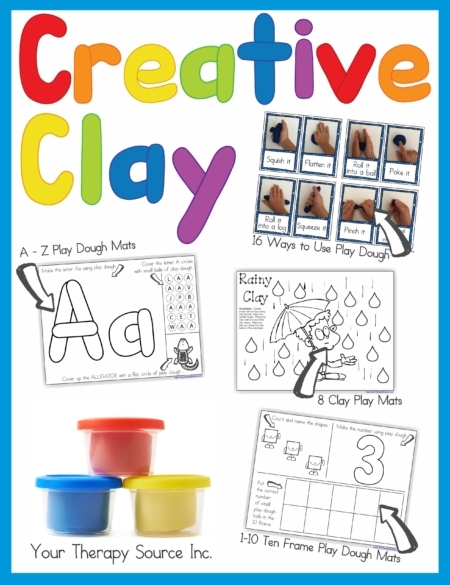 Decide how you will fill the 2o circles on the animal: small balls of clay, tongs with pom-poms, dot markers, color in with crayons, pennies or bingo chips. 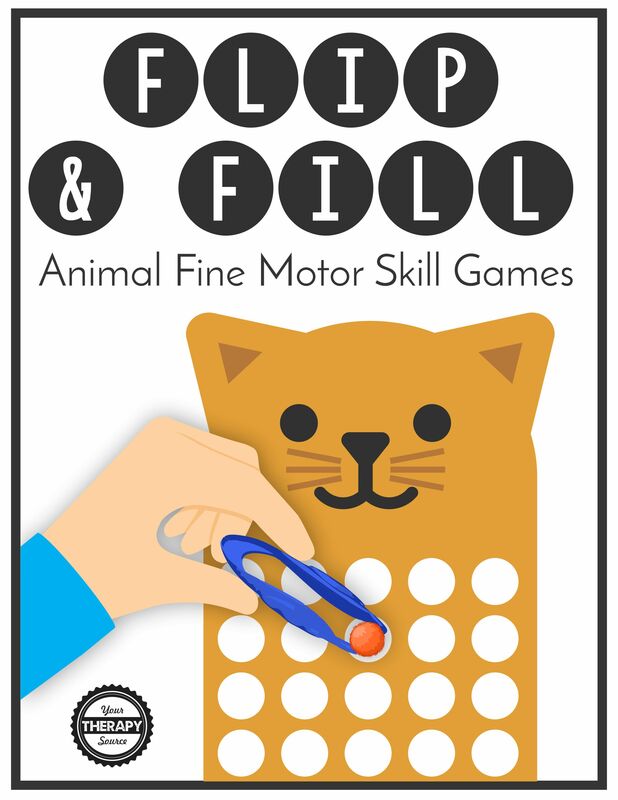 The first player to fill in all 20 circles on the animal is the winner. 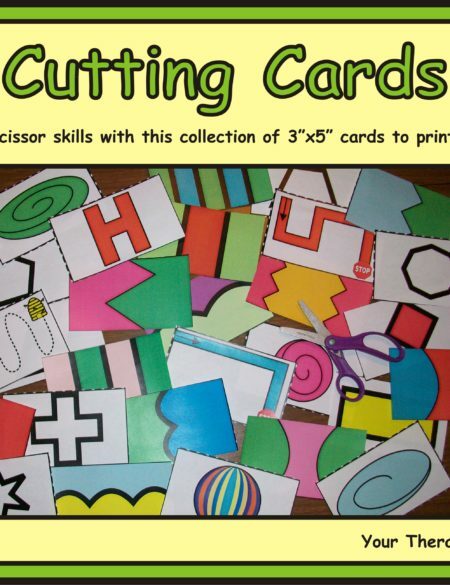 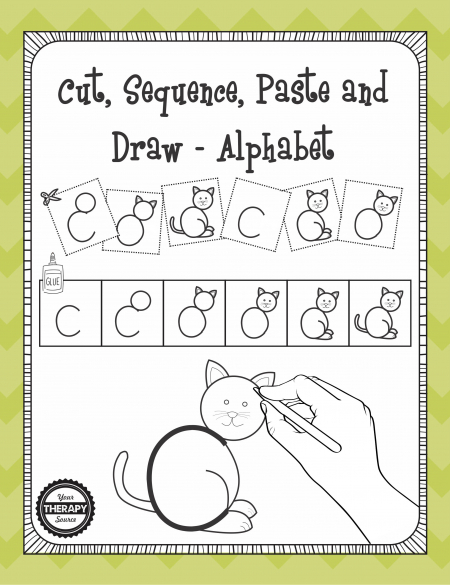 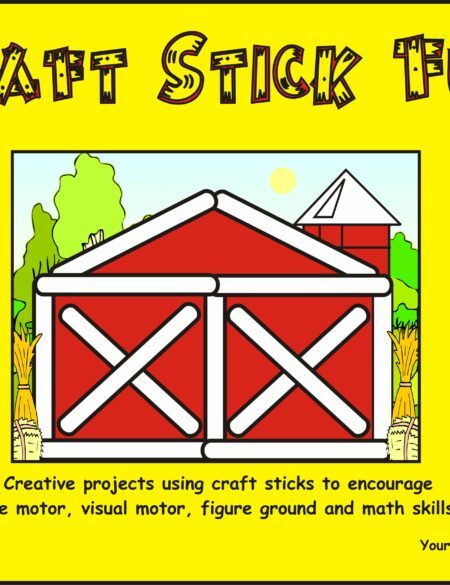 Check out Animal Actions A to Z to get practice gross motor skills before fine motor skill work.